Nepal's delegates for 2018's major international pageants have been crowned at Hotel Annapurna, Durbar Marg on April 11, 2018. Shrinkhala Khatiwada from Hetaunda was hailed as the grand winner that night and was named Miss World Nepal 2018, and will represent the country at the Miss Universe 2018 competition in China this December. 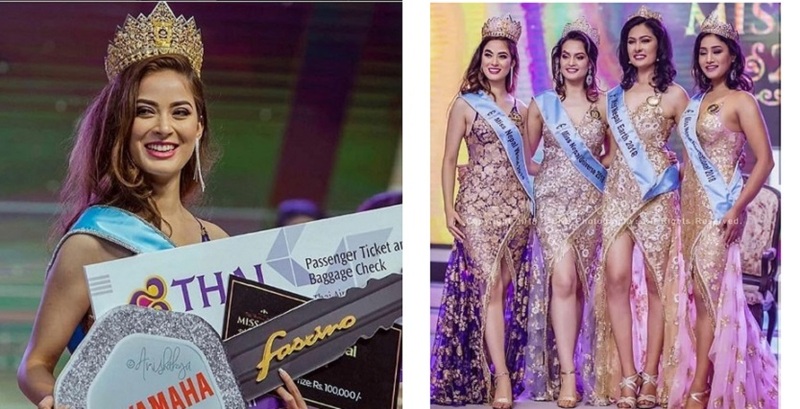 Manita Devkota, a 22-year-old model, won the Miss Universe Nepal 2018 title and will represent the country at Miss Universe 2018 competition. 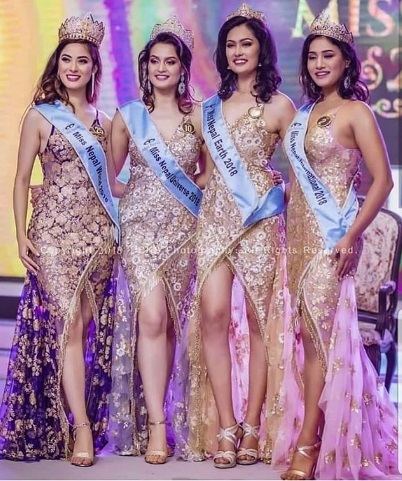 Priya Sigdel from Kathmandu won the Miss Earth Nepal 2018 while pageant veteran Ronali Amatya was crowned Miss International Nepal 2018. 25 Nepalese beauties competed at the competition. Goodluck ladies!